All about the beautiful Philippine islands. With my SM Advantage Card in hand, we headed to the SM Mall of Asia in Pasay City. Being an SM Advantage cardholder, I was entitled to some discounts and promotions from certain restaurants. Many of these deals can be availed at restaurants located at the SM Mall of Asia. 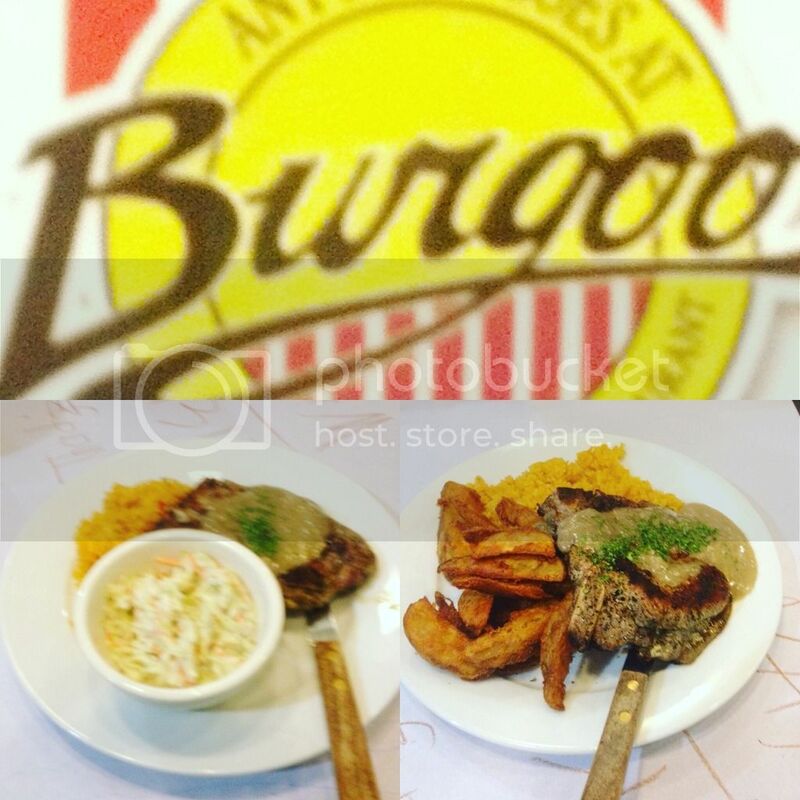 One of the promotions that caught my eye was the buy one, take one offer on the regular pork chops from Burgoo, an American Restaurant which name originated from a kind of culinary dish that originated in Lawrenceburg, Kentucky, USA. 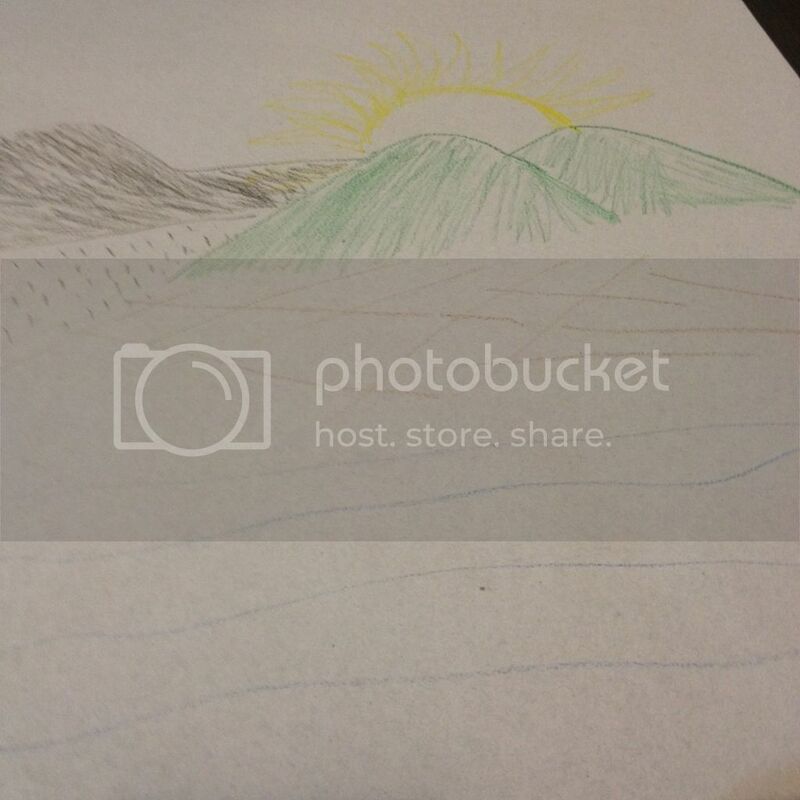 While waiting for our food to be served, I kept myself busy with the crayons and the huge piece of paper that they used to cover their tables. 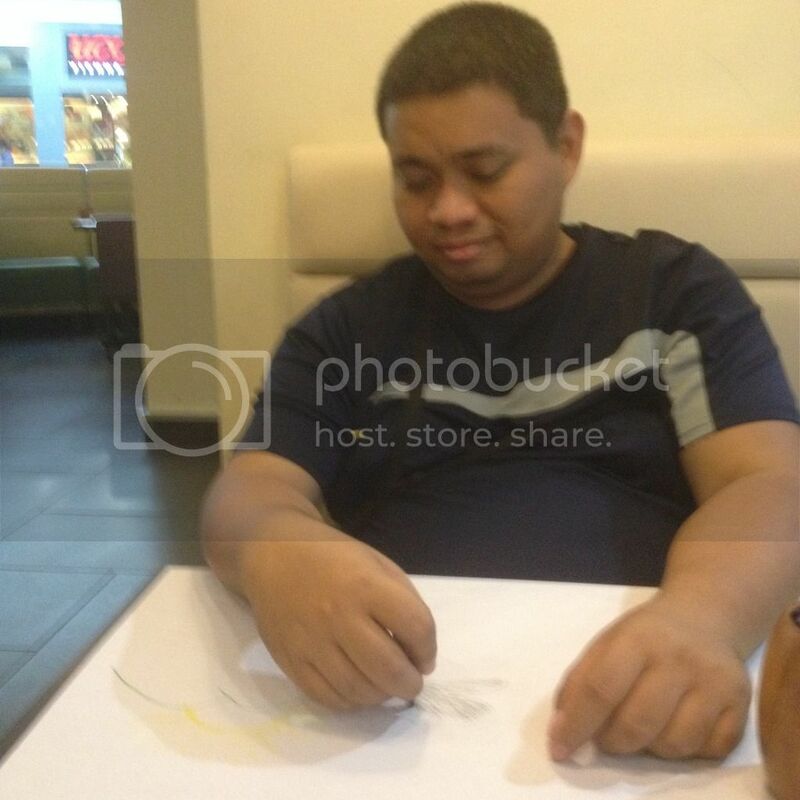 Sometimes, waiting for your food to be served when you are hungry can be a boring experience. So to stay away from boredom, I got in touch with the kid in me and drew something on the table cover using the crayons. It didn't feel like a good fit to have crayons on the dining table. 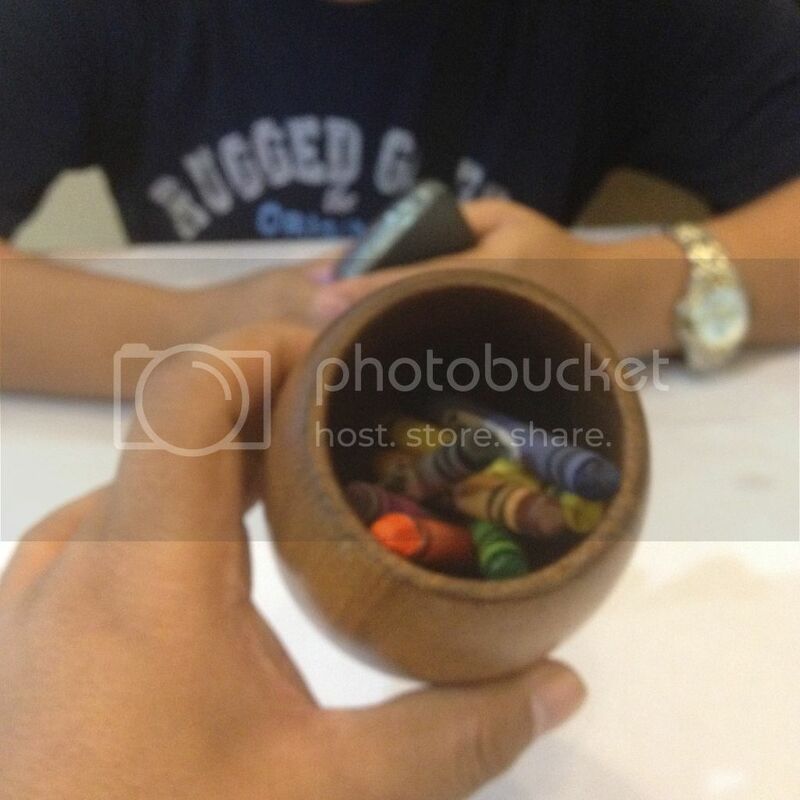 And I wonder if those were lead-free or toxin-free crayons they place in their tables so it's best to be careful specially when you bring kids to this place. The waitstaff were quite friendly too. They asked for our names and introduced themselves by writing their names on the paper using the crayons I used for drawing. 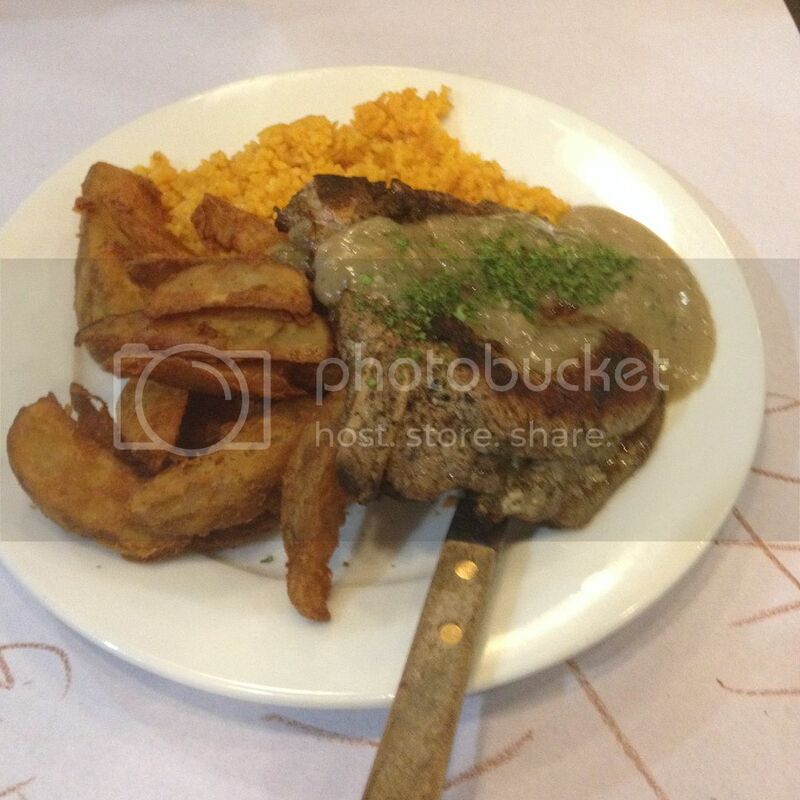 As perviously mentioned, my SM Advantage Card entitled me to a buy one, take one offer on regular pork chops at Burgoo. So that's what we ordered along with bottomless iced tea, I just can't have enough of iced tea (lol!). The pork chops can come with two side dishes of your choice. My brother chose potato wedges and rice pilaf for his pork chops, and I chose rice pilaf and coleslaw to go with mine. 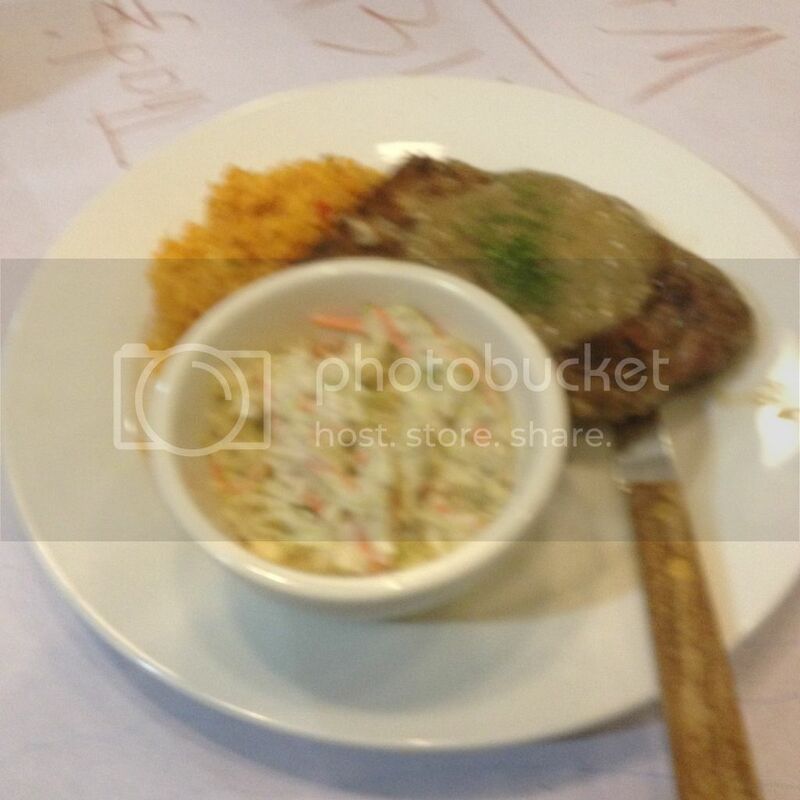 The servings were generous: 2 slices of pork chops, about a cup of rice pilaf, and a bowl of coleslaw for me. I could hardly finish the coleslaw and the chops were filling and the gravy that came with it made it more satisfying. The potato wedges on my brother's plate was even more delicious and also came in generous serving. If we weren't too hungry, one order would have been enough for us. Privacy is the RAREST commodity. We blog about our travels around the Philippines. We write about where we stayed, where we ate, the things we enjoyed, and a lot more. We are also open to invitations and are open to collaboration.